The secretaries are the faces of the main office. Taking calls, admitting people to the building, and filling out paperwork are just a few of their many responsibilities. For many years, Pat Keenan and Jane Fitzgerald filled this role. But after they retired last summer, Ms. Bruni and the other new secretary, Luis Algarin, were chosen as their successors. To Algarin, the most important part of his new job is to always put on a welcoming face. “I have to project a positive image and energy so people know I’m there to help them,” said Mr. Algarin. 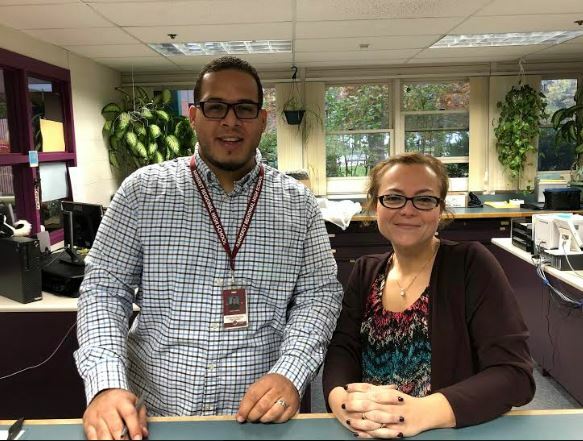 Both Mr. Algarin and Ms. Bruni agree that they are happy at ARHS, and can see themselves working here for many years.